on or off the oilfield with optional wireless integration. From the North Sea to the Plains of North America. At AW-Lake Company, we constantly strive to produce the highest quality flow measurement instrumentation for our customers, from the smallest flow meter order to the most comprehensive OEM flow meter solutions customized for specific applications. Our dedication to exceeding customer expectations is evident throughout our organization. We are part of a Global Network of world-class flow meter manufacturers, producing a wide variety of flow meter technologies, flow electronics, and wireless networks. From corrosive subsea environments, offshore production platforms, onshore oil fields or refineries we have the flow expertise to tackle these tough jobs. Difficult flow metering challenges like high pressures, pulsating flows, corrosive media and harsh environments are our daily business. Automotive & general manufacturing plants have been using AW-Lake flow meters for decades to monitor usage of paints, coatings, adhesives, lubricants and other fluids to manage operation costs and stay in compliance with regulations. Whether chemical / petrochemical processing, food, beverage or pharmaceutical processing, AW-Lake understands the intricacies of process monitoring with flow meters. Our meters are easy to install and clean, and provide long service life to process industries around the world. For challenging industrial environments like mining, steel & paper mills, and industrial vehicles we offer flow meters with easy flow paths to run thick materials, rugged meter bodies that handle extreme conditions and designs with high shock and vibration resistance. Flow meters used to monitor flow readings in fluid power systems are essential to properly monitor your process, diagnose system errors and ensure pump performance. Our expertise in this area goes back decades with numerous suitable flow meters. In a field where fuel consumption attributes to most of the total costs, it is critical for ship owners and operators to monitor their fuel systems. Actual fuel consumption is calculated with flow meters by monitoring and comparing supply and return fuel rates. 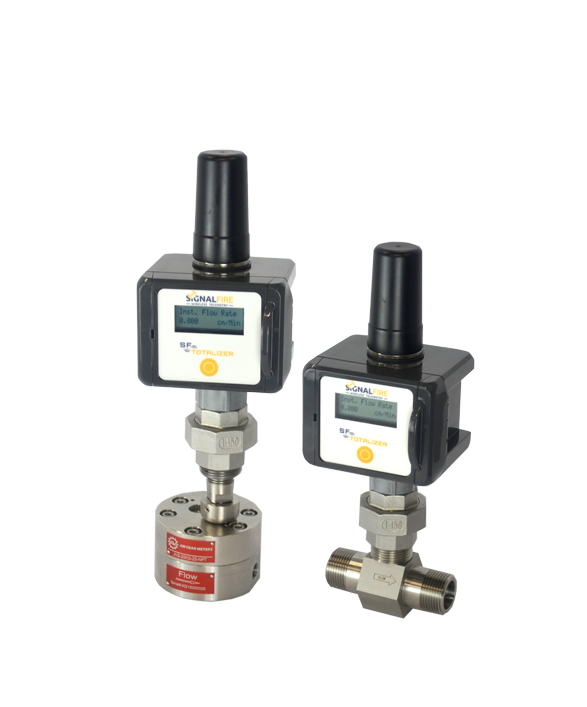 AW-Lake carries three types of highly precise, rugged positive displacement flow meters, including Spur Gear (round gear), Helical Gear (spindle- or screw-type gear), and Rotary Piston, as well as a wide variety of flow transmitters, sensors, and controllers. Our Turbine line of flow meters include both Axial and Paddle Wheel designs, that range in size and budget and handle flows from .008 to 12,000 gpm at pressures up to 20,000 psi. They are in service in oil & gas, petrochem, semicon, beverage, pharmaceutical, and process control. The TRICOR line of Coriolis mass flow meters range in line size from 1/8” to 3”, and are offered with a variety of transmitter options and orientations. Available with global Class 1, Div 1 Hazardous area ratings, these meters are an excellent choice where multi-variable measurement is needed. The LAKE brand of Variable Area flow meters come in many different models: Basic, High Temperature, Phosphate Ester, Pneumatic, Bi-Directional, ClearView, Case Drain, Alarm, Transmitter, and Hydraulic Test Analyzer. Our high-precision gas flow measurement and control devices are based on high tech semicon MEMS sensor technology for very fast and reliable measurement. Well suited to a wide range of applications, the “red-y” line will significantly optimize and simplify your process. 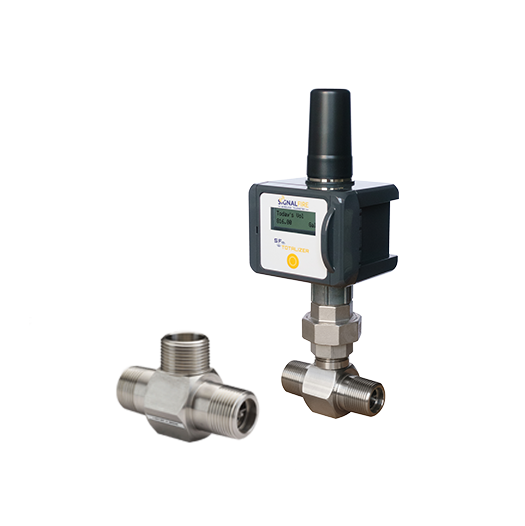 The SignalFire brand of wireless mesh networking and flow sensing is a powerful new addition to our flow instrumentation portfolio. No longer reliant upon hard-wiring, flow data can now be sent wirelessly through a plant or across a remote field, right to where the data is needed.